BEIJING - A U.S. meat supplier said Monday a Chinese subsidiary embroiled in a safety scandal fell short of its requirements for maintaining high standards. 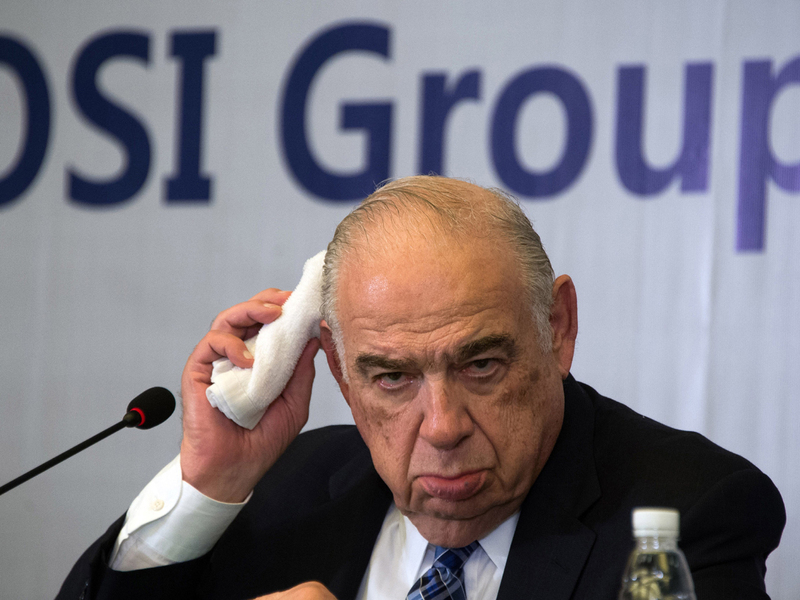 The president of OSI Group, David G. McDonald, declined to give details of what the company has found at Shanghai Husi Food Co. A Shanghai TV station reported last week that Husi sold expired beef and chicken to restaurants including McDonald's and KFC. The Chinese food safety agency said last week its investigators found unspecified illegal activity and police detained five employees of Husi including its product quality manager. But the government and OSI have yet to confirm publicly whether it sold expired meat. "Our investigation has found issues that are absolutely inconsistent with our internal requirements for the highest standards, processes and policies," said McDonald at a news conference in Shanghai. "Why these things took place, by whom they took place and for what motives they took place, we simply can't understand." McDonald said OSI, based in Aurora, Illinois, will create a "quality control center" in Shanghai and will spend 10 million yuan ($1.6 million) on a food safety education campaign. He promised "swift actions" to remedy problems once the investigation is complete. Restaurant operators that have withdrawn products made with meat from Husi include McDonald's Corp., KFC owner Yum Brands Inc., pizza chain Papa John's International Inc., Starbucks Corp., Burger King Corp. and Dicos, a Taiwanese-owned sandwich shop chain. McDonald's restaurants in Japan also stopped using meat from Husi for chicken nuggets. Chinese investigators have yet to say how high in the company they believe knowledge or encouragement of possible misconduct may have gone. A food safety official was quoted last week by the official Xinhua News Agency as saying unspecified illegal behavior was an "arrangement organized by the company." Xinhua said the manager of Husi's quality department told investigators that use of such meat went on for years with "tacit approval" from senior managers. On Monday, the company's owner and chairman, Sheldon Lavin, tried to distance it from individual employees who he said were to blame. "These events simply don't represent the values I stand for or those of my company," said Lavin, who appeared with McDonald. "We understand that we need to rebuild and again earn respect," said Lavin. "We accept that there must be consequences and we take responsibility for the actions of those individuals working for our company." The scandal has alarmed Chinese diners and disrupted operations in China for the world's biggest fast food brands. Product safety is unusually sensitive in China following scandals over the past decade in which infants, hospital patients and others have been killed or sickened by phony or adulterated milk powder, drugs and other goods. "I think there are hundreds if not thousands of food safety issues in the country every year," Elizabeth Economy, director for Asia Studies at the New York-based Council on Foreign Relations, said in an interview with CBS News. "There's no doubt that also, here in the United States and in Europe, a lot of attention is being paid to food exports from China," she added, "because of antibiotics that are used or various substitutes that we certainly wouldn't accept here in this country. China has a long way to go to develop an effective food safety regime." On Sunday, OSI announced it was withdrawing all products made by Husi in Shanghai. It was unclear whether any still were in use after major fast food outlets suspended use of Husi's products following last week's news report. On Monday, McDonald's outlets in Beijing had stopped selling hamburgers and chicken sandwiches. At one outlet on the Chinese capital's east side, only fish sandwiches were available. "We are working towards resuming the availability of your favorite products as soon as possible," said a notice in Chinese and English on a cash register.